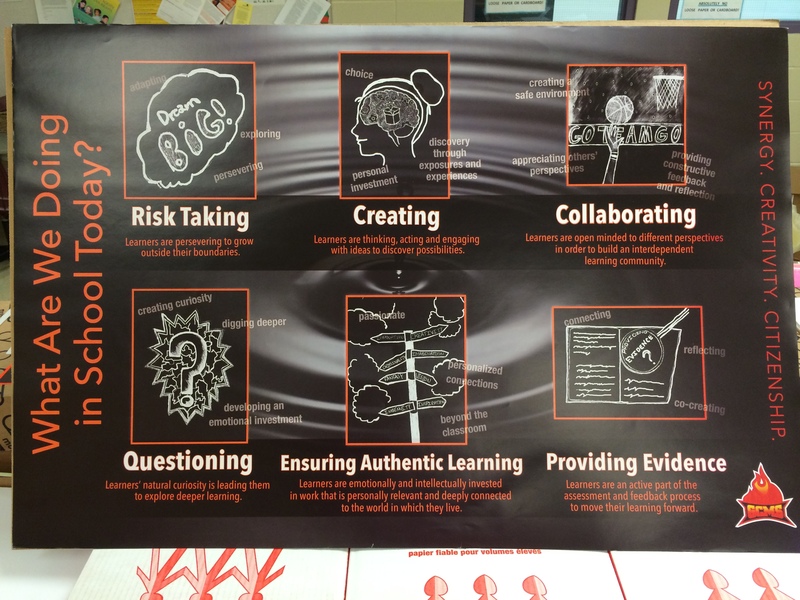 So a few weeks ago I attended the Innovate West Conference at the Connect Charter School in Calgary, with a team of 7 teachers from our school. Along with Claudia Scanga, our school’s learning coach, Lynn Lang and Ashley Solomon, teachers from our school, we facilitated a discussion we called “Collaborative Teaching Models”. My hope, as I put our presentation together, was that we would share our story and what we do at Greystone Centennial Middle School, and then open up the floor to hear about other models, and maybe discuss how we could create more opportunities for teacher collaboration in all schools. It didn’t end up going that way. and how our staff choose to use the time provided to collaborate with their teams rather than grab a coffee, photocopy work or mark assignments. From there the conversation ended up being focused on how we are able to do this in our building and how we got there. A couple people dismissed what we told them as “too pie-in-the-sky” and walked out of the session, while others wanted to ask us question after question about how it’s possible. By the end of the session we did get to talk to teachers from BC who shared with us all the issues they are currently dealing with that limit their ability to create collaborative models. We talked with teachers from small schools who spoke about limited resources and limited numbers of teachers, and how that can hinder their collaboration. We also heard from a group of high school English teachers, who talked about the massive size of their department, and how that made collaboration difficult. While I already knew that we were lucky in so many ways at Greystone, this reminded me of so many more ways. So much of our collaboration model works because of A) The size of our school B) the grade levels we work with C) and a culture that it took 9 years to build (I had nothing to do with it, I joined the staff 3 years ago). But whether its presenting at a conference or hosting visitors from other schools, we know people are looking for advice when it comes to making teacher collaboration a reality in schools. So rather than talk about our model of collaboration, I believe it would be more helpful to talk about what can be more easily re-created in other buildings, by highlighting the important keys. Teachers collaborating are going to come to the table with their own perspectives, shaped by their experiences, their education, their passions and their beliefs. When it comes down to a discussion without a shared vision, it becomes a battle of two (or more) people’s perspectives and someone is more right. The shared vision brings all conversation back to what is agreed upon as the most important focus, and then its not a battle of competing perspectives but rather how to best realize this vision. So if you don’t have a vision, create one… together. Our time at the Connect Charter School (formerly the Calgary Science School) inspired us to create a visual representation of our vision at Greystone and it is mounted on the wall of every classroom in our building. Collaborative conversations can’t just be about watering each other’s gardens, they have to also be about pointing out the weeds. If the conversations start centered around a shared vision, then we have to be able to call each other out when we aren’t doing what we need to get there. That shared vision means we are not pointing out flaws or claiming some sense of superiority over our colleague, but rather helping each other to ensure we are always improving and always doing what’s best for our students. I wouldn’t say we have completely gotten to this point, but we continue to talk about the importance of pushing each other and identifying moments for growth. This is easier said than done, but in the end it is important enough to work towards. If collaboration is important to you as a school leader, you have to be doing everything you can to help facilitate it. Maybe you can only afford a collaborative block once a week, or once a month, but whatever it is, it shows you are committed to the importance of collaboration enough to help make it a reality. I was talking recently with a senior executive member of another division, and her concern was that embedded collaboration might not be achievable in the next school year. My first thought was Twitter and Social Media, and I recommended providing staff with a day where they bring in a facilitator to help get their staff on Twitter, to work on developing an online PLN. 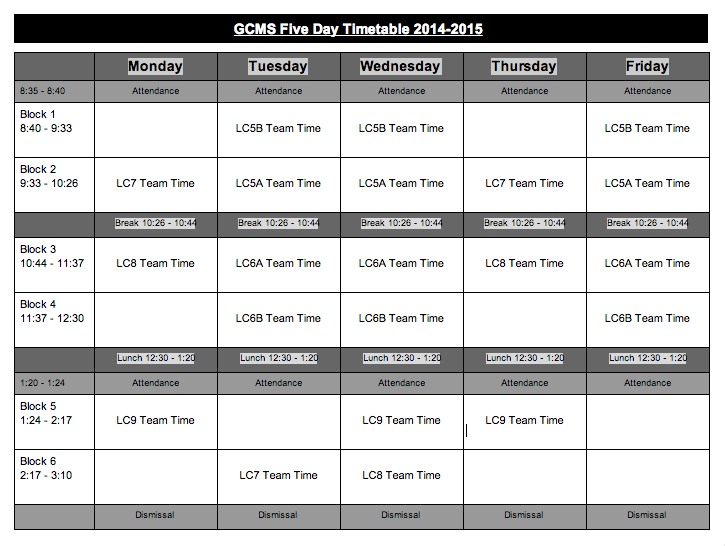 If you can’t immediately implement collaboration into your timetable, at least provide another avenue to experience the power of collaboration. In doing so, you help people see that you believe its worth the time and the money. It was definitely the leadership at our school who professed their firm belief in the power of collaboration for the past 9 years, namely our Principal Carolyn Cameron, and this no doubt led to a culture where people readily spend their entire prep time working with colleagues instead of doing all the housekeeping they could be doing. There are so many aspects of our building that the collaboration of our teachers impacts in a positive way. Having new teachers on a team helps them get acclimated to the building, get to know our culture, and support them through the first tough couple months. Having teachers on teams helps veteran teachers of all ages and experience levels keep pushing to bring the best to students as they are opened to new ideas from their team. The way our teachers collaborate is modelled daily for our students and I can’t help but believe it helps them see the importance as well. In our “team times”, as we call them, our teachers work not only on planning great projects and assignments for students, but also they share important information on students so that everyone is on the same page, they reflect on assessments and how to improve them, and next year our focus will be on providing quality student feedback. I have no doubt the conversations in those team times will be deep and meaningful as we explore what great feedback looks and sounds like. We celebrate these successes with our staff and our school community, and we share them with every school that comes to visit our building and in every presentation we do at conferences. 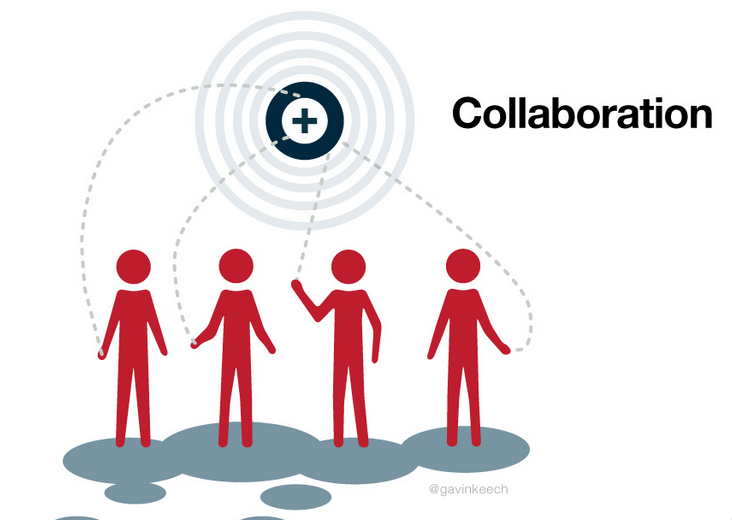 Collaboration is an idea that needs to spread, first in your building of course, but then everywhere it can, so that more and more schools and divisions will work to support it. What do you do in your buildings to facilitate collaboration? What gets in your way from making it a reality? What do you find the most beneficial part of Teacher Collaboration? I’d love to hear from people, and whether or not you agree with these four points.